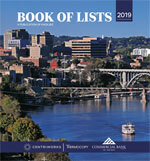 List of top area Advertising Firms ranked by gross billings. Includes complete contact information and notable client list. Data is in Excel format suitable for easy download. 2017 Gross Local Billings. Work must be performed by local employees, but work can be performed for local, national and/or international clients.